Bill Porter, the prolific sound engineer whose work was an integral part of what became known as the Nashville Sound, passed away in St. Louis, Missouri on Wednesday (7/7). He was 79. Porter left Monument in 1966, moving to Las Vegas to manage United Recording of Nevada for audio engineering pioneer Bill Putnam of United Western Recorders in Los Angeles. When Presley’s Vegas sound engineer was unavailable for a show, Porter was called. 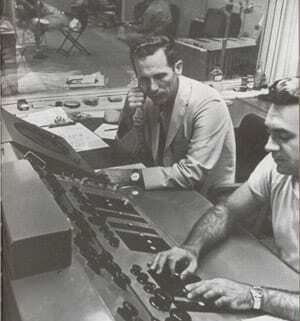 He would serve as Presley’s live sound engineer until the singer’s death in 1977. After finding some success as a music publisher, Porter was named director-at-large of the Country Music Association in 1972. For that organization, he prepared an instructional primer on sound techniques, describing microphones and their usage, loudspeaker types, audio mixers, and providing operating tips. Over the years, Porter also worked with televangelist Jimmy Swaggart and engineered sessions with artists including Barbra Streisand, Diana Ross and Sammy Davis, Jr. Despite never having graduated from college, Porter spent much of his later life in academia, co-writing the first college-level curriculum for audio engineering. His innovative techniques and are still taught in colleges and universities today. In 1992, the TEC Foundation inducted Porter into their TEC Awards Hall of Fame, along with synthesizer pioneer Robert Moog and record producer Phil Ramone. In 2003, Porter won the William T. Kemper Award for Excellence in Teaching, and he was honored with a lifetime achievement award from the St. Louis chapter of the Audio Engineering Society.